Manchester United manager Jose Mourinho has stated that he trusts the teenage striker Marcus Rashford, and won’t buy a new striker. Mourinho, in an interview, said that Rashford is a good professional, and the player is ready to learn and improve. The manager also said why Rashford isn’t getting enough chances as compared to last season. 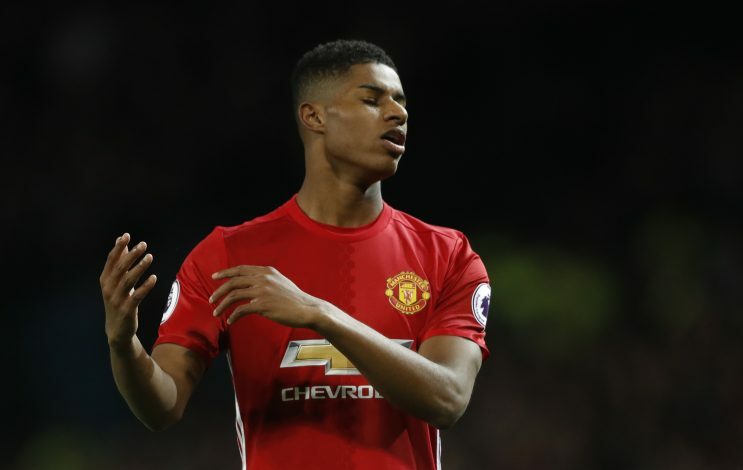 Rashford was a surprise package from the former Man Utd boss Louis van Gaal. The academy product went on to score 8 goals from 18 games across all competitions last season. But the 19-year-old striker hasn’t featured much under the new manager Jose Mourinho. Mourinho addressed the issue, by stating: “The biggest trust I give him is when I told you that I don’t want another striker. I don’t want one. Why? Because I have Rashford. The Portuguese manager added: “He’s fine, he’s going in the right direction. He’s a good kid, a good professional with the right mentality. “He’s always ready to learn and improve. This kid is going in the right direction. He knows he’s learning every day and understands that. By being with the team, being in training with the team and even being on the bench and playing sometimes when we play counter-attacking football.